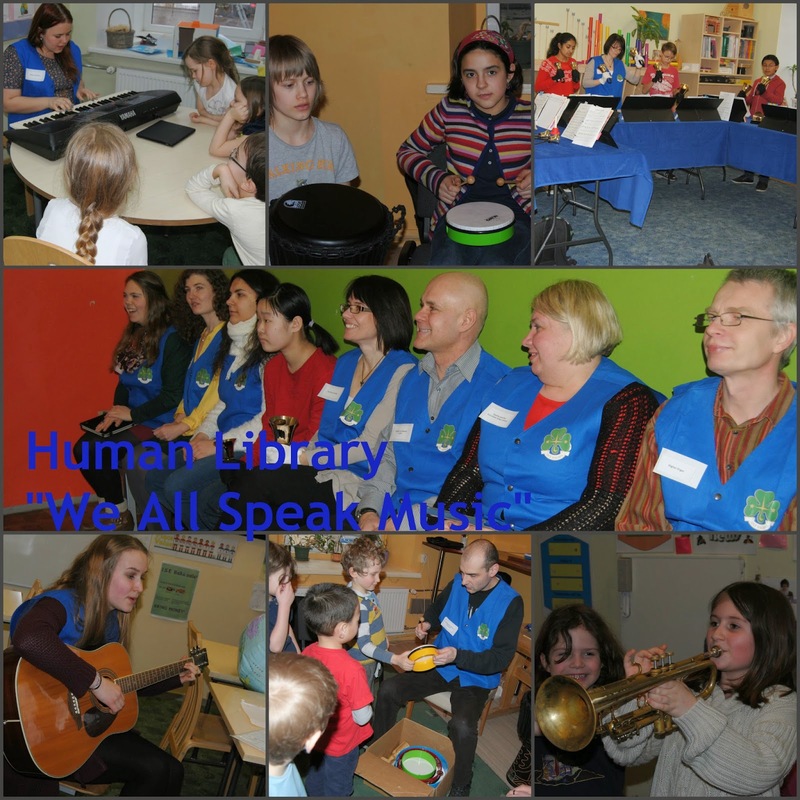 Book Week 2015 "We All Speak Music" ended on Friday with an exciting Human Library event. I commend the time and effort all the Books in the Human Library volunteered. From International School of Estonia - Karolina Sepp and handbell students (Christian, Simon, Janek, Anjali, Saskia, Viola, Amane), Paula grade 10, Tamara grade 12, Guido Hiiemaa, Anais Chevalier, Reelika Herkel, Relika Bergstrom, Solvi Ryder, and from outside school Toomas Sepp and Andrea Patron. The books were very interesting and expedient. I was amazed by the talent people have to be shared with our students. This year the Library Catalog held 10 music themed books. Summary: The history and the basics of playing the handbells, and a small concert with the possibility of joining in. Summary: Find out musical percussion instruments from different part of the world and discover how to play interesting sounds and rhythm. Summary: You will learn about the trumpet player's life and why music is important. Summary: This book is about dancing. It tells us about how music and dance are closely related. Have you ever seen a ballet? Would it be good if there was no music? Let's find out and dance together with the music. Summary: Have you ever thought about singing? How about singing a song you wrote yourself? We will be talking about joys and struggles of being a singer songwriter, learn few tricks and ways to write a song and try to create one together. Summary: Find out about an instrument called piped organ and hear it play some extraordinary pieces of music. Summary: Find out about different drumming styles, discover the rhythm in you and create your own beats. Summary: A short overview of Estonian performers and songs at Eurovision song contest from 1994 till now. Greatest winners and losers, and funniest performers and songs. Come and check us out. Summary: Listen to a song starting from Estonia, through Latvia and ending in Lithuania. In each country the song recommends what to do there and what to notice and keep in mind. Summary: Listen to various genres of music and spot the differences between them. Find out what genre suits you the most and is your favorite. A perfect opportunity to hear what makes genres different.